Arasan today announced the immediate availability of its Total MIPI UFS 3.0 IP Solution for use with Xilinx FPGA’s. 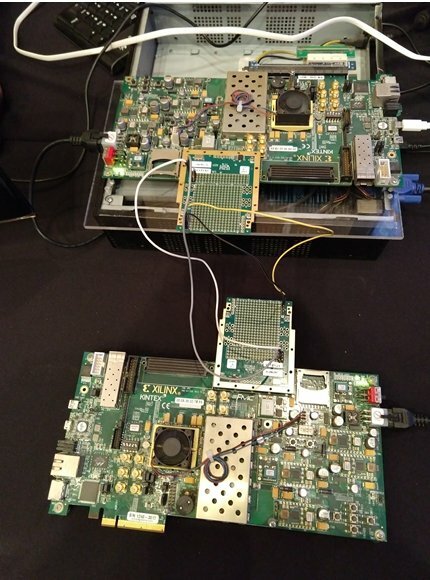 The Arasan UFS 3.0 Master IP and UFS 3.0 Device IP compliant to the JEDEC UFS 3.0 Specification have been prototyped on Xilinx FPGA’s. Arasan uses the built in Xilinx High Speed Serdes PHY to implement the M-PHY v4.1 Gear 4 IP thereby achieving the full speed of 11.6 Gbps required by the MIPI M-PHY 4.1 Specifications. FPGA Customers can license this MIPI M-PHY v4.1 Gear 4 Digital Front End (“DFE”) IP along with our UFS 3.0 IP solution. Arasan also sells its UFS 3.0 Prototyping Platform as a UFS 3.0 Hardware Development Kit (“HDK”) bundled in with it proprietary UFS 3.0 Software Stack. Arasan’s UFS 3.0 HDK is used by most of the UFS Compliance and production tester companies as the base platform on which their test solutions are built. Arasan’s UFS 3.0 HDK joins the growing list of Arasan IP, including its UFS 2.1 IP, SD Card / SDIO Card IP, MIPI CSI, DSI, D-PHY and C-PHY IP that have been used in compliance and production testers. We are Compliance! “The announcement of our UFS 3.0 IP solution for Xilinx FPGA’s furthers our alliance partnership with Xilinx and broadens our IP portfolio offering for Xilinx customers” said Prakash Kamath CTO at Arasan. Arasan UFS IP Cores are primarily licensed by UFS 3.0 Memory Device manufacturers of which Arasan has licensed to 3 of the top 4 memory companies and Application Processor manufacturers for high end smartphone and automobiles. Arasan also works closely with Memory Device, SoC and Tester vendors to further the UFS Ecosystem and adoption. Arasan UFS 3.0 Host IP, UFS 3.0 Device IP, UFS 3.0 Software Stack and MIPI M-PHY v4.1 DFE IP are listed on the Xilinx Alliance Website and available to license immediately. Customers who wish to migrate to ASIC can also licensed our M-PHY v4.1 IP on foundry nodes 28nm and below. The UFS 3.0 Host and Device HDK can be ordered with a moq of 6 units with a 4-6 week lead time. Arasan Chip Systems, a leading provider of IP for mobile storage and mobile connectivity interfaces is an active member of the UFS Association since its inception in 2010. Arasan’s high-quality, silicon-proven, Total IP Solutions include Digital IP, Analog Mixed Signal PHY IP, Verification IP, HDK and Software. Arasan has a focused product portfolio targeting mobile SoC’s. The term Mobile has evolved over our two decade history to include all things mobile – starting with PDA’s in the mid 90’s to Smartphones & Tablets of the 2000’s to today’s Automobiles, Drones and IoT’s. Arasan is at the forefront of this evolution of “Mobile” with its standards-based IP at the heart of Mobile SoC’s.